Identity and printed material for Art & The Commons, a research collective focusing on non-monetary exchanges with art. This pamphlet was release at the Exchange Café at the Museum of Modern Art. 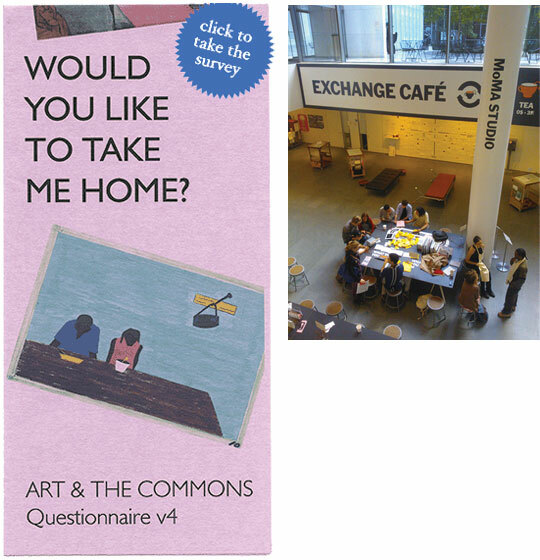 Survey focused gathering information on the factors that influece visitor participation with art. Paintings from the Moma ask Would You like to take Me Home?.